The International Music Score Library Project, or IMSLP, is one of the best sheet music resources on the web. Created in February of 2006, IMSLP is an online classical music library for solo, chamber music and orchestral works. IMSLP is a wiki, which means that it relies on the collective efforts of users who create and edit content. Anyone can edit pages or contribute scans of music, although IMSLP has many dedicated administrators who create guidelines for the site and review submissions for copyright infringement. The IMSLP is based in Canada, so all music available on the site is either public domain in Canada or has been submitted by a composer or arranger under a Creative Commons license. For more information about copyright law in Canada, the U.S., and other countries, visit IMSLP's public domain info page. To find clarinet works on IMSLP, the best place to start is with the List of Compositions Featuring the Clarinet. Clarinet works are listed by genre, with about 50 solo works and 125 chamber works. 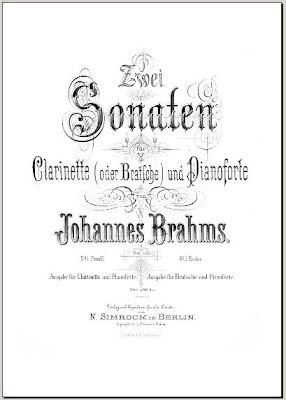 The "Clarinet and Piano" works include sonatas by Brahms, Reger, and Saint-Saens, as well as the Debussy Première Rhapsodie, the Gade Fantasiestücke, and the Schumann Three Romances. The list has concertos by Mozart, Weber, and Spohr, with some double concertos. Unfortunately, the solo clarinet section contains only a handful of pieces (perhaps because much of this literature is still under copyright). The chamber section is lengthy and includes 12 of the Reicha woodwind quintets, the clarinet quintets of Mozart and Brahms, and many other works, listed by instrumentation. Orchestral works are well-represented in the IMSLP, making it a valuable resource for orchestral musicians and those learning excerpts. Not only are scores available for score study, but many clarinet parts are available for download in their entirety, such as those for all of the Beethoven symphonies, Borodin's Polovetsian Dances, and Rimsky-Korsakov's Capriccio Espagnol and Scheherazade (with parts in A and transposed to B-flat). Of course, many later works such as those by Richard Strauss and Stravinsky are still under copyright, so if you're looking for twentieth-century orchestral works, the best option is to purchase the part itself or in a collection such as the Orchestral Musician's CD-ROM Library. For help finding orchestral parts on IMSLP, see the List of Orchestra or Band Pieces with Parts Available. Each IMSLP entry contains one or more music files in PDF format. The entry for the Mozart Concerto includes scans of the full score and orchestral parts, the score for an arrangement for clarinet and string quartet by Oliver Seely, and the piano score for the Schletterer arrangement of the concerto for viola published in 1860. Entries also contain information about the opus number, composition date, publication date, movements, and instrumentation of the work. Depending on the work, much of this information is still incomplete, but will likely be filled in as more people contribute to IMSLP by editing these entries. The quality of the files on IMSLP is hit-or-miss; some are poor scans, some are missing pages, and some of the solo parts are not the same edition or arrangement as the scores. Also, a few of the files have been typeset in Finale or other music notation software. In some cases, this makes them more readable than the originals, but there are obvious drawbacks; the accuracy of articulations, expressive marks, and even the notes may be in question. While the quality and availability of scores and parts vary, there are some great finds waiting to be discovered. For example, the page for the Brahms Sonatas Op. 120 includes a high-quality scan of the 1895 Simrock edition - the first published edition of the work - complete with score, clarinet parts, and the viola and violin transcriptions. IMSLP ran into legal trouble in 2007, when the site was shut down in response to a cease-and-desist letter from Universal Edition. All music was removed from the site between October 2007 and June 2008, while IMSLP worked out the legal complexities of copyright law in various countries, and sought financial and legal support. Now, works such as the Berg Vier Stücke, with a copyright just outside of the 70-year limit in some countries, are treated delicately on IMSLP. These types of works often have a disclaimer stating that while the work is considered public domain in Canada, the European Union, and elsewhere, it is likely not public domain in the U.S. Much work goes into research and forum discussions about copyright to avoid violations; in the case of the Berg Vier Stücke, an IMSLP forum discussion cites evidence that the Vier Stücke were first self-published by Berg in 1920 and published by Universal Edition in 1924 with only minor error corrections, making them technically legal for download in the U.S.
IMSLP is still growing and has much room for improvement. For example, a user has created a page with a "List of Compositions with Orchestral Cello Parts," but no such page exists yet for clarinet, leaving us to sift through individual pieces. The Rose etudes are clearly public domain, but as this article went to press, only one scan of the 40 etudes had been uploaded, and this with several etudes missing and out of order. 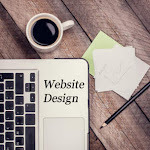 But as we have seen with the rise of Wikipedia, the nature of a wiki is that the more people use and contribute to the site, the more accurate and complete the wiki becomes. Even simply rating the quality of the scans you access can be a helpful contribution. With the participation of users who upload scans, research copyright information, and contribute to the wiki in other ways, IMSLP could soon become the most valuable online music resource for musicologists and performers alike. While many web sites offer a general collection of sheet music, the web site of The Clarinet Institute of Los Angeles is specifically tailored for the clarinetist. Managed by David Schorr, this website not only contains archives of sheet music, but also has numerous videos, MIDI files, and recordings of works ranging from standard to lesser-known compositions. Presented in PDF format, all of the sheet music can be downloaded legally due to copyright expiration or because the music has been donated for public use. With over 420 works listed, you can browse through solo works, duets, trios, pieces for clarinet and piano, chamber works, and clarinet ensembles, downloading desired parts and scores at your discretion. You can also purchase a data CD with all of the music files conveniently cataloged and ready to print for only ten dollars. The site has recently widened its instrumental spectrum to include similar discs with sheet music for wind quintet, flute, and oboe. This web site is an excellent resource for anyone looking to add to their musical library. As mentioned in the March 2009 Clarinet Cache column, the home page of Woodwind.org offers a listing of free music and MIDI files. Here, Mark Charette compiled links to notable sites such as "Oliver's (mostly) Clarinet Music Page" run by Oliver Seely. Oliver Seely is a clarinetist and chemistry professor emeritus from California State University at Dominguez Hills who has created Finale versions of many solo and chamber works. While Seely's collection is extensive, be aware that some of the music files are without articulations or dynamics. If you don't have Finale, head over to Charette's "mirror" of Seely's page, where he has translated the Finale notation into PDF format. Woodwind.org also has links to sites with files of manuscripts designated for research purposes and web sites of various composers who have provided their music in PDF files for public use. Looking for traditional and popular songs? Try perusing the listing of clarinet music at 8notes.com. Most of the selections are simple arrangements of popular melodies such as "Amazing Grace" and "The Entertainer" for clarinet with piano accompaniment, appropriate for beginner to intermediate clarinet players. For an upgrade of service and content, the site offers a yearly subscription that authorizes access to hundreds of compositions, allows you to print music without the commercial advertisements and to request separate instrument parts, and also offers free transposition of the parts. This is a good source for teachers looking for pieces with easy piano accompaniment so that they can play along with their students. The general free sheet music sites that often come up in searches, such as Free-Scores.com, leave something to be desired. Cluttered with advertisements and difficult to navigate, Free-Scores.com is not the best place to start when looking for a piece online. In comparison to the aforementioned sites, its content is quantity over quality, with many of the pieces presented in poor Finale notation. However, many composers have contributed new compositions to the site, so it could be a good venue to discover contemporary works and connect with composers. One last site worth mentioning is Paolo Leva's Clarinet Music and Scores blog. Leva regularly posts sheet music in PDF format with commentary, including original arrangements and some works from other sources. Searching for online music can be quite frustrating, and we have likely only reached the tip of the iceberg. We hope to have shown you what we have found to be the best and most important sites for free clarinet music. If you think we have missed something, please email us. We encourage clarinetists to support their favorite publishers, and do not condone the act of copying or downloading music that is still under copyright protection. However, copyright law exists for a reason, and when the copyright expires on a piece of music, it becomes public property. Publishers may not be happy about the fact that the Internet has made it easier for people to obtain copies of public domain music without purchasing it from them, but this does not mean that publishers will be obsolete in the twenty-first century. In the US, publishers still hold copyright on much of the music printed after 1922, and besides, nothing can replace a scholarly edition of a work such as the Mozart Concerto, with a preface, printed on quality paper. Those publishers that understand their role in the digital age will continue to remain relevant and economically viable for many years to come. EPSA Publishing is a Spanish-language site offering free downloads of primarily Argentinian music. Sheet music can be searched by genre (including a large collection of tangos) and instrument, and many compositions include clarinet. Registration is required to download sheet music, and the user agrees to credit the composer/editor if the music is used for performance. I knew about IMSLP but a lot of the time I can't find individual parts for orchestra pieces on there, so thanks for pointing out all those other great resources for sheet music. Now this is what I call the ultimate list! Thanks for all the details concerning quality of scans and other stuff which may be unobvious at first glance. As I see, you didn't like it when websites don't have a category of clarinet music - and I understand you, it is incommodious. Load.cd, however, doesn't have that problem - check out the following page: clarinet sheet music. They also have 500 or something scores for a bass and alto clarinets - it's overall easy to browse the site, you can find exactly what you want.